A first-offense DWI, sometimes called a DUI (driving under the influence), where the driver has a BAC of .08% or more (up to.18%) carries an administrative license suspension of at least six months (one year for drivers with a BAC of .18% or more or for drivers under 21 years old). A DWI is considered a second-offense if you had a prior offense within the past ten years. DWAI’s involving drugs or a combination of drugs and alcohol also have a ten-year second-offense look-back period. However, the second-offense look-back period for DWAI’s involving only alcohol is five years. It’s important to note that New York has multiple look-back periods. Depending on your situation, the look-back period could be four, five, ten, or 25 years. 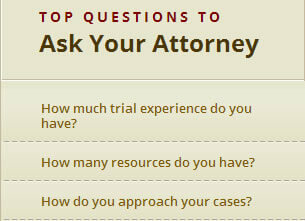 Consult with a New York DWAI attorney to find out which look-back period applies in your case. According to the New York Department of Motor Vehicles, 33% of all fatalities are due to drunk drivers Because of this, the penalties for an alcohol or drug-related violation include the loss of driving privileges, fines, and a possible jail term.